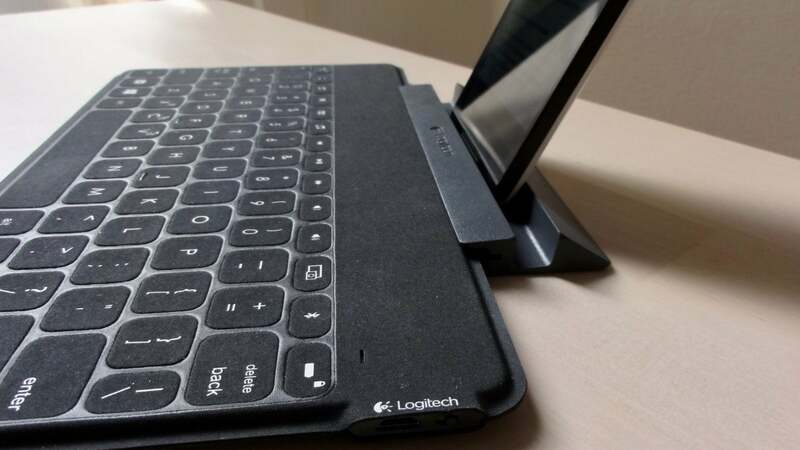 Slim, light, and sturdy, the Logitech Keys-to-Go keyboard is a great match for tablet- or phone-toting users ready to type up a storm while they're on the road. While the keyboard lacks programmable keys or an easy way to switch its Bluetooth connection among multiple devices, the Keys-To-Go keyboard's ultra-thin design and impressive typing feel make it a compelling option for productivity-minded road warriors. Be sure to check our full roster of wireless keyboard reviews for other good mobile and desktop options. The Keys-To-Go keyboard ($70 list) certainly lives up to its name as far as portability is concerned. 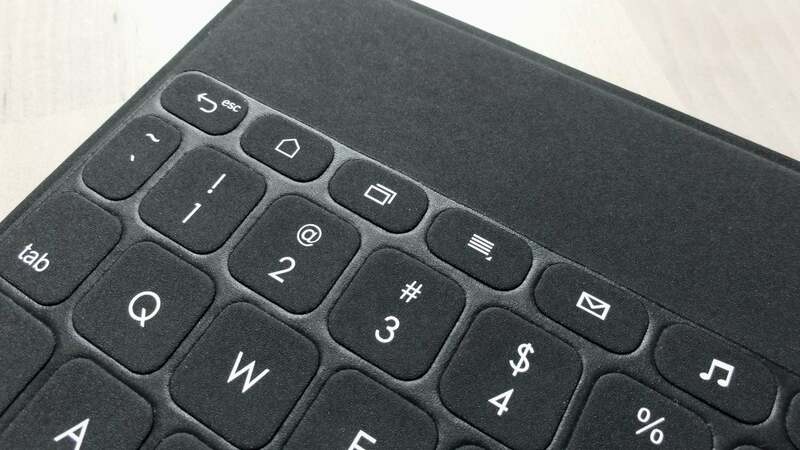 A mere 6 millimeters thin, the 5.4 x 9.5 x 0.24-inch Keys-To-Go is about the same length as an iPad Air and a little more than an inch narrower, making for a nice fit when you're carrying both in one hand. 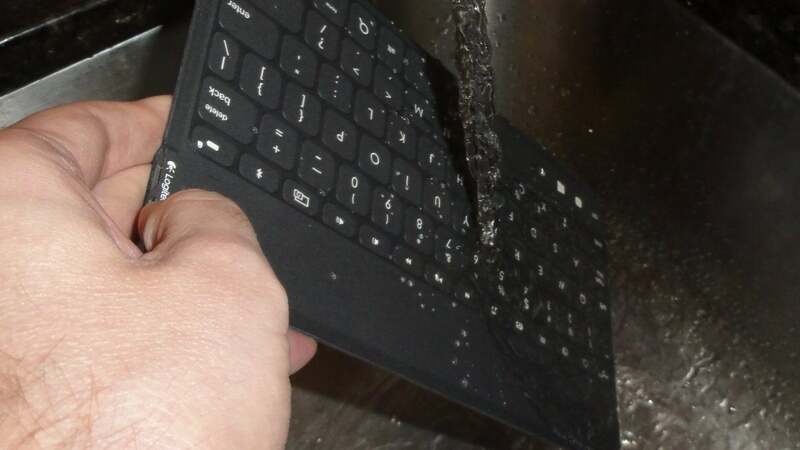 The Logitech Keys-To-Go keyboard isn't afraid of a little water. The 6.4-ounce keyboard feels pleasingly light yet surprisingly sturdy. Even better, the Keys-To-Go keyboard is covered with a water-resistant fabric that's designed to brush off crumbs and spills. As a test, I held the keyboard under a faucet for a few seconds, and the water rolled right off the keys. A quick wipe with a paper towel was all it took to dry the keyboard completely. Sadly, the exposed Micro USB charging port on the side of the keyboard means you should probably refrain from typing in the tub. The bracket that's included with the Keys-To-Go keyboard can prop up a phone or a tablet. Connecting the Keys-To-Go keyboard to your PC or mobile device is a fairly straightforward process. Just turn on the keyboard, then open the Bluetooth settings on the device you want to connect and tap "Keys-To-Go" in the list of available devices. We should also note that there are two versions of the Keys-To-Go keyboard: one that works with iOS devices, and a second that supports Android and Windows. If you want more versatility, consider Kensington's KP400, which embraces Windows, Mac, iOS, Android, and can juggle two devices. Logitech's K380 does even more, adding ChromeOS and AppleTV and toggling among three at once. 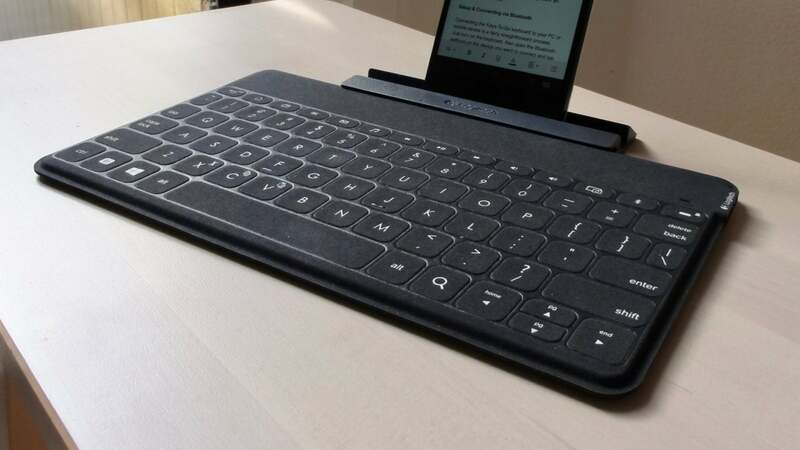 No question about it: The Keys-To-Go keyboard takes getting used to, and if you're expecting a 6-millimeter-thick keyboard to feel as good as a full-size model, you'll be disappointed. That said, the more I tested the keypad, the more my initial resistance melted away. Despite the keyboard's ultra-thin design, the keys themselves boast decent travel and clickiness. Key discovery is only so-so, and my pinky consistently had trouble locating the Delete key. Over time, though, I found myself typing quickly and confidently. Indeed, I composed much of this review using the keyboard paired with my Nexus 5X. You won't find any programmable or traditional function keys on the Keys-To-Go keyboard, but it does comes with a solid array of hotkeys. If you need to write a report or compose lengthy email while you're on the road, the sturdy and comfy Logitech Keys-To-Go keyboard will make typing on your Android or iOS device a lot easier. If you need to write a report or compose lengthy email while you're on the road, the sturdy, comfy and affordable Logitech Keys-To-Go keyboard will make typing on your Android or iOS device a lot easier.